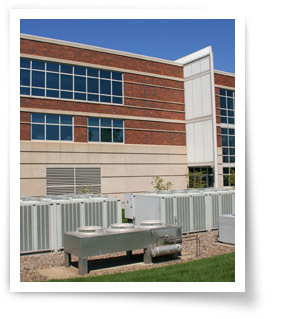 Air Temp services, monitors and installs energy management systems that are well suited for commercial applications such as financial institutions, office buildings, educational, healthcare, manufacturing, and institutional facilities. Our energy management systems are seamless, turnkey solutions and offer a single point of contact for all your energy management needs. Commercial buildings, many of which house machinery that run on a 24/7 operating schedule, tend to consume more energy than any other source in the US. This translates into high energy bills for business owners as a result of necessity. The biggest consumers are heating and cooling, machinery, lighting and others which accounts for a national total of 20% of all energy consumed in the US. The most effective way to combat rising energy costs and wasteful energy spending is through the use of an energy management system to monitor and automate your energy usage. With advances in hardware and software as well as implementation of mobile devices and tablets, there’s never been a better time to take charge of your energy usage and save your company thousands of dollars per year on your businesses utility bills. Each month you’ll be able to monitor and diagnose weak areas in your energy expenditures and make small adjustments which add up to big savings. Utility rebates are available to help offset initial installation costs. If you're interested an in-house demo of our energy reducing energy management system at your place of business, contact us or visit our information request form.